Rosehip oil has been very popular in recent years, largely owing to its anti-ageing and pigmentation-fighting properties. It's derived from rose bush seeds, commonly found in Chile, South Africa and parts of Europe. Because it's so high in Vitamin C, which stimulates collagen production, it's an excellent-anti-ageingproduct. it's also high in Vitamin A which reduces fine lines and antioxidants, which improve skin texture. In summary, it really packs a punch! 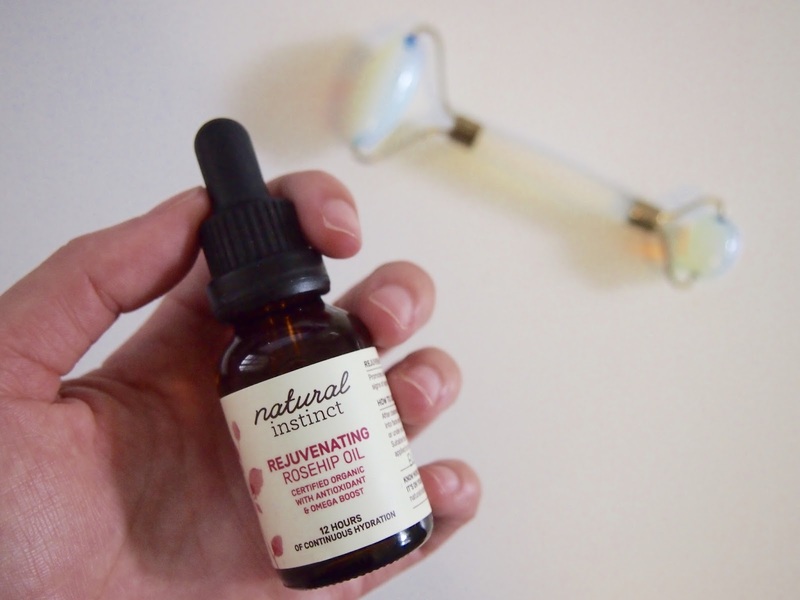 I've put together my Top 3 Uses for Rosehip Oil, in partnership with Natural Instincts and their amazing Rejuvenating Rosehip Oil. The first, and most obvious, use for rosehip oil is as a skincare product. Because of all the reasons above, it's an excellent anti-ageing product. It's also very good at reducing pigmentation, hydrating the skin and boosting the overall appearance of dull skin. Natural Instincts Rosehip Oil also contains Seabuckthorn extract to help rebuild skin cells and Rosemary extract, which contains antioxidants to help repair skin damage caused by free radicals. I like to use 2-3 drops about twice a week before bed, and massage them in using my Julisa Opalite Roller before applying my moisturiser. While rosehip oil makes a great general body moisturiser, I have been using it to tackle my stretch marks. Unfortunately, I seem to scar very easily and my stretch marks are no exception. Nati=urak Instincts Rosehip Oil contains Omega-3 and Omega-6 Essential Fatty Acids which help to repair damaged skin and reduce the appearance of scars. I've been applying a few drops nightly to my legs, the area with the most noticeable marks, and I already feel like they have improved. I have really high hopes for the future. I have always suffered from an insanely itchy scalp and nothing I've used seems to help, until now. Because rosehip oil is absorbed so easily and is non-greasy, it's great to add to hair as it won't weigh it down. Vitamins A, C and E also give a boost try dull hair, injecting shine back into it and repairing damage. I've been applying a drop or two to damp hair, them combing through and drying and styling as usually. You can also warm a little more than a few drops and use them as a hair mask overnight for the silkiest, softest hair ever. As a little added bonus, Natural Instincts Rejuvenating Rosehip Oil is Australian made, cruelty-free and vegan. They are an amazing brand, working towards sustainability and and away from over-packaging of products, both big wins in my books. This product was provided as a PR sample but, as always, my opinion is my own. If you follow me on Instagram, you would be aware that I decided to make the change to cruelty-free beauty last year. 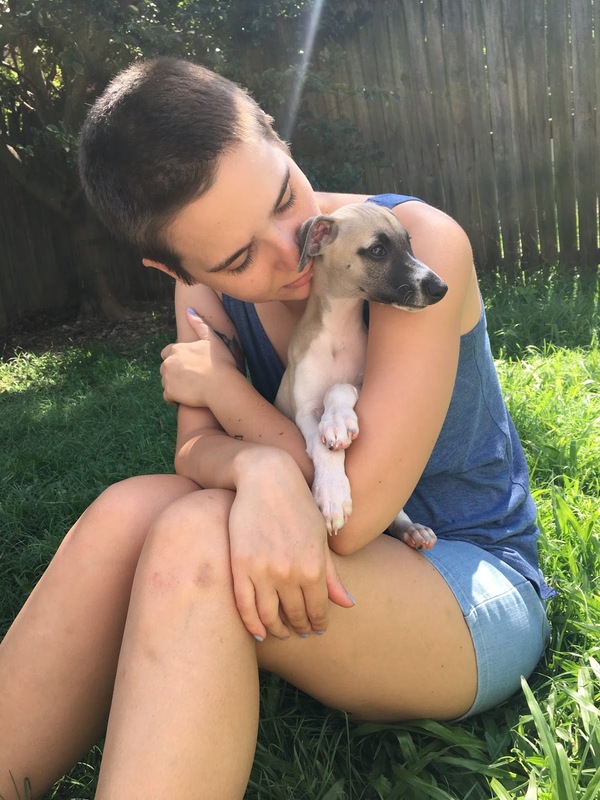 This was inspired by a few blogger friends, my personal views on the ethics of animal testing and a need to de-clutter my life and focus on the important things. I've been a vegetarian for that past two or so years and it just felt like the right move. I don't believe that animal testing is a necessity, there are plenty of brands that don't test on animals and manage to thrive. You would think this is a black and white issue, either companies do or do not test on animals, right? Wrong! A lot of brands claim they they "do not conduct animal testing on our products or ingredients, nor ask others to test on our behalf, except when required by law". This basically means that although the brand or company doesn't test on animals themselves, if they sell their product in a country where animal testing is required by law *cough* China *cough*, the products will be tested on animals. It's also confusing because while no animal testing takes place in Australia for cosmetics, it's technically not illegal. It also gets complicated because a lot of brands have come up with their own "certified cruelty free" logos to put onto their products. Companies can also be certified cruelty-free, but not be willing to pay the extra fee to display the official logos. 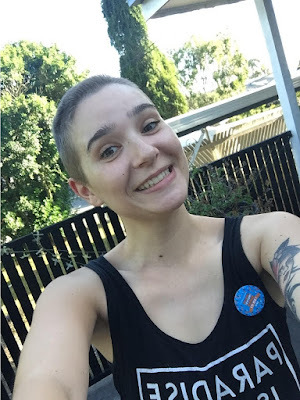 Check out this post by Cruelty-Free Kitty to see the logos, their affiliated organisations and their lists of certified cruelty free brands. There are so many ins-and-out to the cruelty-free world. Personally, I wish it was more transparent. I've quite often found myself standing in a shop, sifting through pages and pages of info online, trying to find out if a brand is cruelty free or not. It can seem intimidating to switch to a cruelty-free lifestyle, so here are some top tips. I'm lucky in that a few of my bloggers friends also use exclusively cruelty-free products too. We swap stories and recommendations and it makes things easy. If you don't have any close friends who use CF brands, find some! There are hundreds of Facebook groups and forums discussing the best and worst of cruelty-free. I started by separating my beauty stash into two piles: cruelty-free and non cruelty-free. I then went through the non CF pile and picked out items that I wanted to keep and use up or find CF alternatives for. Instead of throwing the rest out, I posted some of the new things online for sale, I donated some to charities, I used some for fundraising events, I gave some away to family and friends. I also gave myself a good few months to use up the things I couldn't part with right away so I didn't feel pressured. I also didn't want to throw things away because I try and be as eco-friendly as I can. Places like Mecca Maxima and even Priceline will give out samples of foundations for you to test out. Make use of this! Try out new brands and see what you like and what works for you. Buy some sample sizes and see if you like them enough to buy the full size. Find local brands and give them a go. There are a lot of beauty items you can make on your own. Everything from lip balm to moisturiser to dry shampoo is easy to make, and works just as well as store bought in most cases. Again, there are lots of resources online for making your own products with lots of tips on how to make them last. It's also really fun and DIY beauty products make excellent gifts. I hope you enjoyed the first post in my cruelty-free series, stay tuned for more and feel free to contact me with requests. One of the things I love about living in Brisbane is the amazing number of cultural and community events and festivals we have. I love the colour, the food, the vibes and the fact that we're celebrating a little slice of our beautiful city. 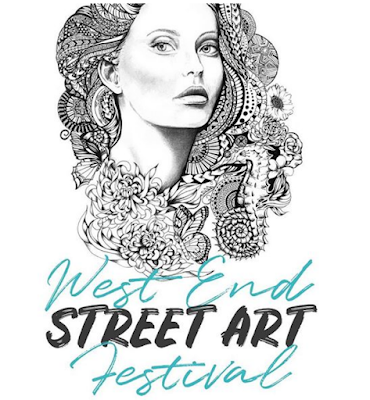 One amazing event that is just around the corner is the West End Street Art Festival. 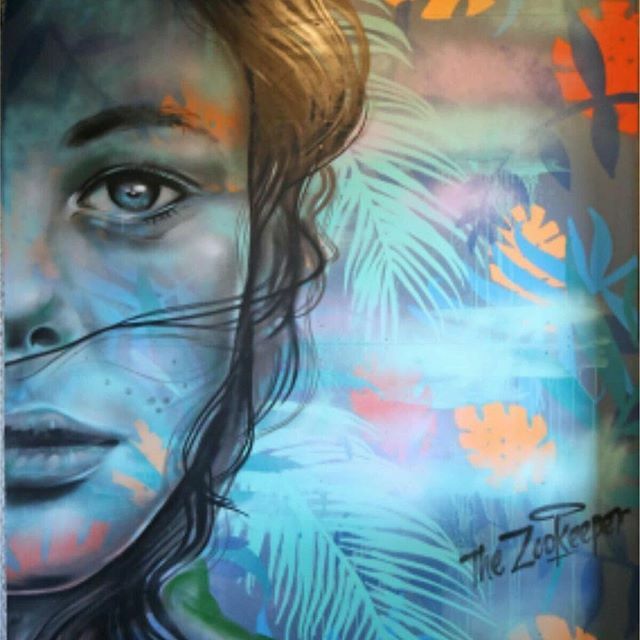 This is Australia's first dedicated festival and market celebrating urban art and design. The main feature of the festival is the amazing street art murals created by some of Australia's most talented artists. The are all fun, fabulous and definitely worth looking at. These beautiful murals will be appearing in West End, along Boundary and Russell Street. The festival will culminate in a market to celebrate these amazing artworks and will take place on Saturday the 22nd of October. The markets will be a mix of market stalls, live music, street food, walking tours, live painting and interactive workshops. The festival also aims to raise $10,000 for Orange Sky Laundry, a Brisbane-based organisation helping homeless youths. Tickets are $5 pre-sale (bargain!) and $10 on the day AND I have a whole bunch of passes to give away to lucky Brisbanites. If you'd like a ticket, please leave a comment on my Instagram post () telling me why you'd like to come along and I'll message the lucky winners next week. I am so looking forward to this amazing festival and I really hope to see you all there. 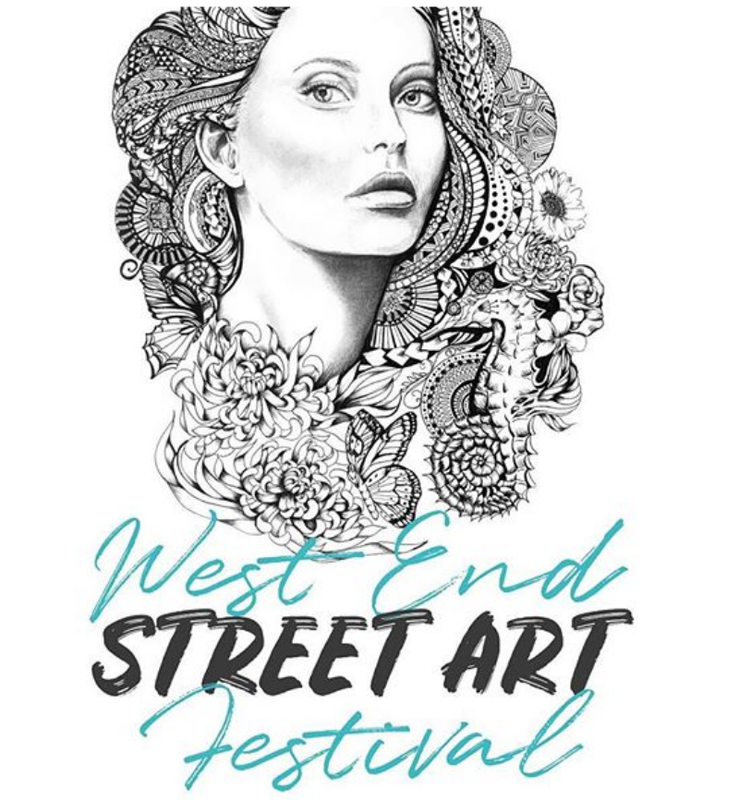 This post was produced in collaboration with the West End Street Art Festival but is NOT sponsored and, as always, all opinions are my own.